I think filled tomatoes have gone completely out of fashion, but this recipe caught my eye as the filling of rice, bacon and cheese sounds good. Just not sure when I’d serve them though, maybe as an accompaniment to bbq steak or chops….. 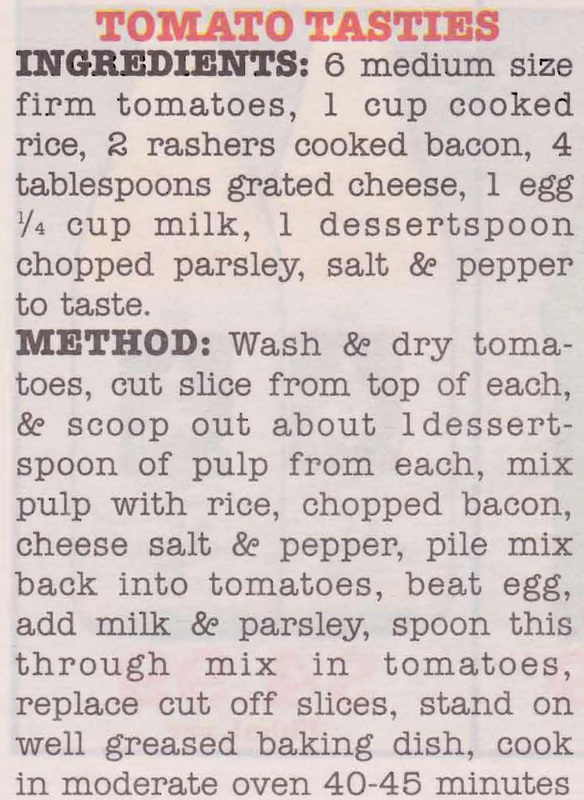 This entry was posted in Main Dishes, Salads & Vegetables and tagged 1970s, bacon, cheese, filled tomatoes, rice, tomato, tomato tasties by bebsrecipes. Bookmark the permalink.